We are private company specialized on modern tactical uniform, equipment and urban clothes for professionals. In developing and manufacturing we focus on quality, comfort and extended functionality. All products are being tested in most tough combat conditions. Wide range of products for professional and private use — combat shirts and tactical pants, field uniform, parkas, caps and boonies, equipment for snipers, military style urban pants and jackets, fleece and softshell wear, tactical vests, belts and pouches. 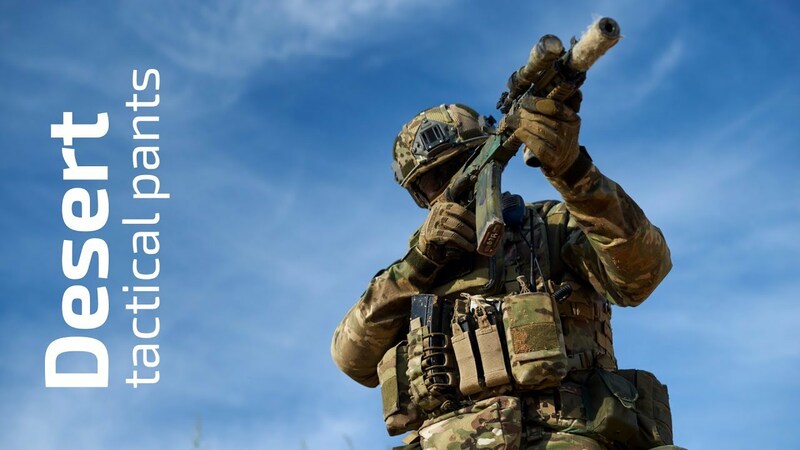 Giena Tactics products are available worldwide and are used daily in different areas — Special Operation Forces and Law Enforcement Units, IPSC, hunting, sports, airsoft, casual. We develop, create and upgrade models continuously based on user’s feedback. Constantly looking for new suppliers to obtain best quality and combination of materials. Special edition for hot climate! Reliability and convenience in single design. Removable knee protection secures operator and provides comfort in use. Knee adjustments provide perfect fit and protection. Combat tested pants for professionals - took best practices and feedback provided by SOF and LEO units. Integrated elbow protection secures operator in any conditions. Ergonomic sleeves provide comfort and protector is always in correct place! Combat tested shirt for professionals - took best practices and feedback provided by SOF and LEO units.. Reliability and convenience in single design. Extended effective moisture wicking fabric area for maximum comfort when using body armor. Abrasion resistant knit used on torso area. Air-flow shoulder protectors prevent rubbing when using belts. - integrated Giena Tactics elbow protectors – adjustments not necessary. Long sniper coat with preinstalled 3D leafs – suppressing visual presence. Increased area for installing 3d leafs elements and well ventilated hood and shoulders for extra cooling. Hood easily formed to any shape you want and used with any helmet. Can be more or less baggy. Wide view angles due to meshed hood. Easily mounted 3d leafs and natural vegetation. Viperhood fits sizes 44-46 up to 56-58. In summer fits size 60-62. Many adjusters for perfect fit. Two elastic cord adjusters on a sling - easily adjusted with one hand. We launched new tactical gear and will present all products at IWA. Will be presented - war belts, shest rigs, holsters, rucksacks, different pouches and others. Slotted low profile and anatomical war belt REX designed in cooperation with SOF and LE specialists with wide combat background. Tactical belt REX optimized for hardest missions in various conditions. REX has many mounting points and options - allows using equipment compatible with molle and with pistol belt. Built-in section for soft armor with 16 mm thickness. Basic kit has 8 mm thick polymeric material and 1 mm plastic. Ballistic insert can be installed. War belt made of 500D Nylon – reliability and long-term lifecycle guaranteed. Inner belt with 2M (Italy) fastex with button. Big velcro panels on inner part to place soft pillows and climate panels. Soft pillows (perfect when carrying big weight on a belt) are included, climate panels are not included. Climate panels optionally placed on inner part of a belt – provide extra ventilation in hot conditions. Inner belt can be fixed with molle belt/cover by velcro-locks on both sides. War belt fixed with velcro belt on pants - stable construction as a result. During active actions such construction is reliable and convenient. Molle belt/cover with internal polymeric material and plastic insert. Rigid belt with fastex (pistol belt) - to attach to molle belt/cover. Webbing belt with velcro for reliable adjustment on pants. Pillows for operator’s comfort (3 pcs). Comfortable and functional pants for tactical training and outdoor activities. Based on Giena Tactics combat pants GC Mod2, took best solutions and features. Ideal for carrying all necessary accessories, magazines, tools and gadgets. Increased waist height in lumbar area. Top front and hip pockets are easily accessible. Rubber band in waist for better fitting - easily used without belt. Convenient and useful pockets configuration with organizers. Pants produced in different patterns.